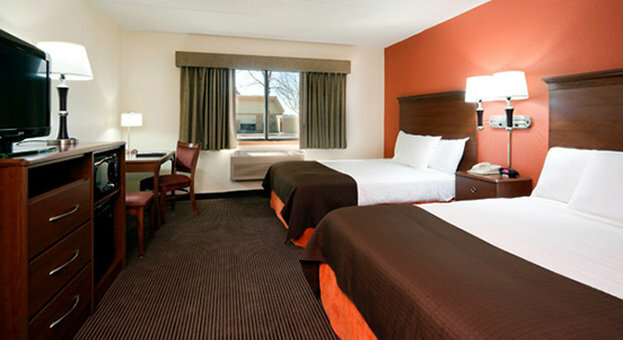 AmericInn of Park Rapids, Minnesota is conveniently located on highway 34. The hotel offers a variety of room types including suites with whirlpools. We also offer an indoor pool, hot tub and sauna. We also offer a partnership with an area fitness center. Each morning we offer a free home-style breakfast. The AmericInn Park Rapids hotel is conveniently located in Park Rapids, Minnesota internationally known as the Gateway to the Mississippi River Headwaters at Itasca State Park. It is also the beginning of the Heartland Trail a 49 mile State Trail that offers a paved surface to Walker, Minnesota where you can snowmobile, bike, walk, horseback ride and many other outdoor recreational activities. The Lake Country Scenic Byway runs in front of the AmericInn Park Rapids. The Byway offers a multitude of landscapes between Detroit Lakes and Walker including Itasca State Park. ~35 miles from Park Rapids. 20 feet tall, it has for decades hooted down the claims of several newer, not-quite-as-large rivals. ~40 miles from Park Rapids. ~51 miles from Park Rapids. The largest of three black duck statues in Blackduck. This one is posed, wings out, as if it's coming in for a landing. We call it "Action Duck." ~60 miles from Park Rapids.